Today was chicken moving day. 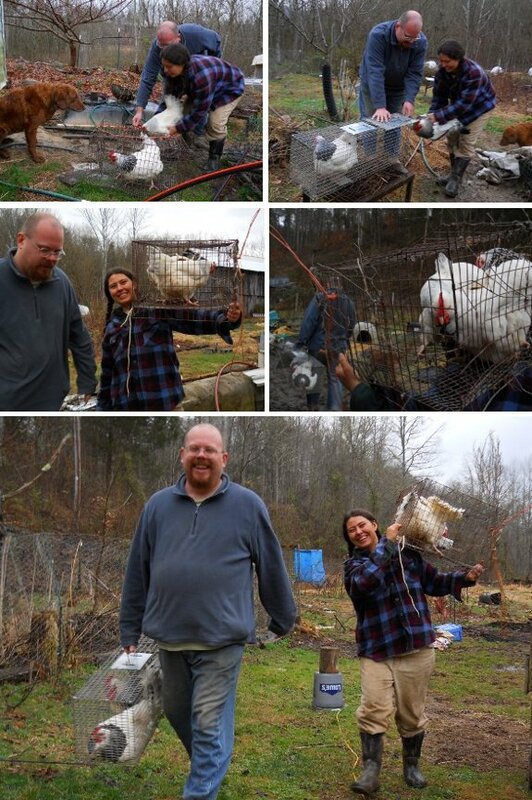 Joey reports all 3 hens and 1 rooster are safely in their new home. It sure is easy when all you have to do is take pictures. I thought you would have a big chicken drive. You could ride on Lucy and lasso the errant hens who tried to stampede. There was a little need for lassoing in this drive, actually, but you'll have to wait to read about it next week on my chicken blog. I hope you're enjoying your unusual snow!